Benedictine nuns and sisters from every continent have been meeting in Rome over the past week (September 10-17) for the seventh Symposium of the International Communion of Benedictine Women (CIB). Among the 120 delegates representing some 14,000 women religious throughout the world were three Australians: Sister Clare Condon, Congregational Leader of the Good Samaritan Sisters; and Sisters Maureen Therese Woodhouse and Gertrude George of the Benedictine Monastery in Jamberoo, NSW. Held every four years, the CIB Symposium aims to enhance a worldwide network among Benedictine women through liturgy, prayer, ritual and reflection upon an agreed theme. The theme for the 2014 symposium was “Listen… with the ear of your heart”, the opening words of the Rule of St Benedict. During the week-long gathering, three keynote speakers, each renowned in her respective field, explored this theme. Dr Maria Pina Scanu, a scripture scholar and lecturer at Sant’ Anselmo University in Rome, reflected on listening to the Word of God in the Scriptures, while Sister Aquinata Böckmann OSB, a monastic spirituality scholar, author and educator, focused on the Rule of St Benedict. Highlighting the importance of listening in the Rule, she quoted from Esther de Waal: “‘Listen!’ I could take that as a summary of the whole of Benedict’s teaching”. In her address, Sister Mary John Mananzan OSB, a philosopher, theologian and former Prioress of Saint Scholastica’s in Manilla, the Philippines, encouraged participants to listen to “the voice of God speaking through the signs of the times, in people and in nature”. Later in her address she said: “I think the voices we hear urge us to go deep into our hearts and learn to respond through the mystic-prophetic nature of our religious vocation”. For Sister Clare Condon, this year’s symposium is her third, and she continues to find it an “enriching” and “inspiring” experience. 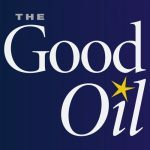 “The value is that it brings together women from diverse cultures who live the Benedictine life today,” she told The Good Oil. Something that stood out for Clare during this symposium was that Benedictine women, whether they are from enclosed, contemplative communities or active, apostolic communities, “are very much united as women who follow the values of the Rule of St Benedict”, rather than by Church classifications which have been imposed on them over the years. Similar sentiments were expressed by the CIB Moderator, Sister Judith Ann Heble OSB, in her symposium report. “Though there are obvious differences among us, we have come to appreciate the fact that we share a common life, a common charism, a common vision,” she said. During the symposium, which was held at Sant’ Anselmo, the Benedictine University in Rome, delegates also had the opportunity to visit the Italian towns of Monte Cassino (where St Benedict established his first monastery) and Subiaco (where St Benedict first lived as a hermit before establishing his first monastery). The eighth Symposium of the CIB will be held in 2018.